RoboValley aims to connect robots and people: around the world, but – as we are based in the Netherlands – especially in Europe. To help realise this, we attended the ‘Smart Regions with Smart Robots’ event in Brussels earlier this month. The event was organised by the European Commission. ‘Make it a winning formula for your economy and citizens’, was the theme of the day. As far as we are concerned: we will do that! 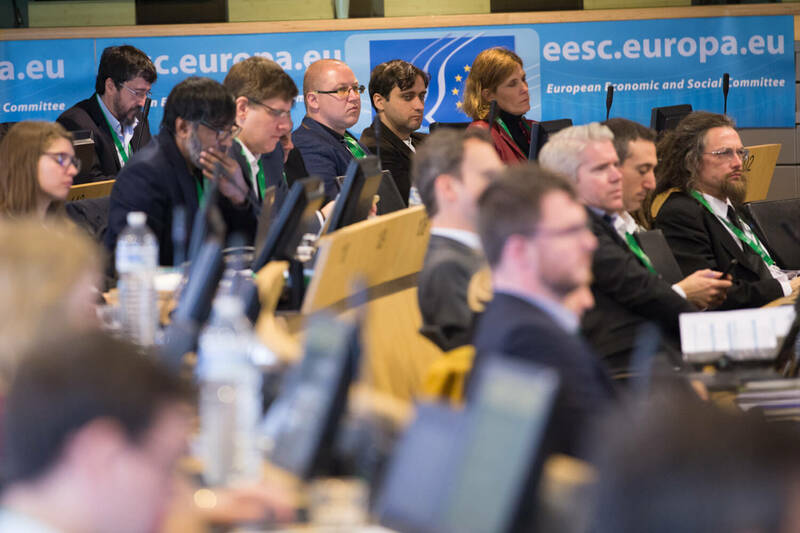 The European Commission is forming a network of Digital Innovation Hubs, which are regional collaborations between companies, start-ups and knowledge institutes that are working on new technologies, including robotics. This is meant to boost innovation. Sounds familiar, right? 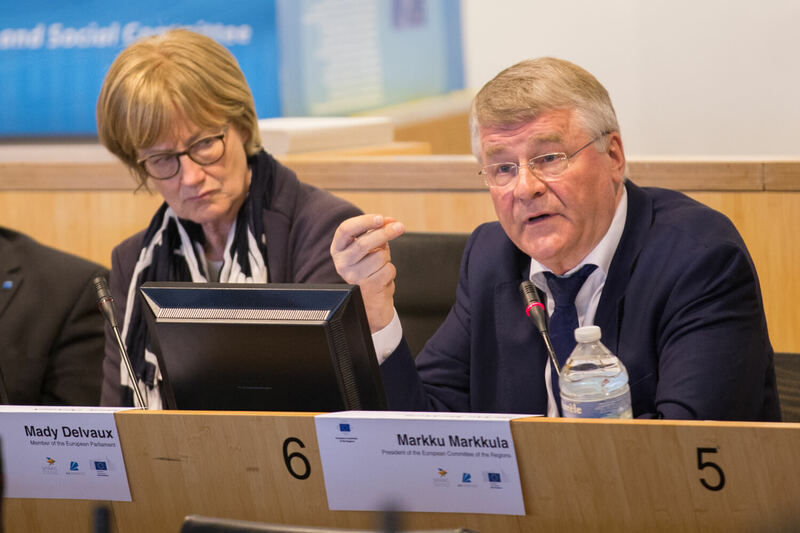 “Smart regions with smart robots have a great potential for growth” according to Markku Markkula, president of the Committee of the Regions. “Countries which have invested in robotics have lost fewer manufacturing jobs than those which did not”, added Dr. Juha Heikkilä, the head of the Robotics and AI unit of the European Commission. “Countries with the highest robot density, such as Germany and Korea, have low unemployment rates.” On top of that, robots are responsible for recent trends in reshoring. "Countries with the highest robot density have low unemployment rates"
“A strong European digital industry supports a strong digitised and competitive industry and related products and services across all sectors”, said Heikkilä. MEP Mady Delvaux noted the importance of considering other, ethical matters. “It is not only about academia and industry, it is how we imagine our lives with robots”, she added. “Robots will change our way of living, and our way of working. All professions will be impacted.” This is why we have to carefully look at how robotisation can benefit all Europeans, not just the ‘well-educated elite’. From presentations about major themes (healthcare, inspection & maintenance, SME production, agriculture and smart cities) there appeared to be great opportunities for Europe. “There is a need for the inspection and maintenance market, and Europe can deliver that”, said Aksel Transeth from Sintef. He pointed out that the non-destructive testing and inspection market in 2022 is estimated at 10.4 billion euros. There are opportunities – and demand – for robotics solutions. These can significantly reduce the inspection costs. "Regional technology transfer only happens face-to-face. That’s why we need regional robotics hubs"
RoboValley is the youngest robotics-hub in Europe. 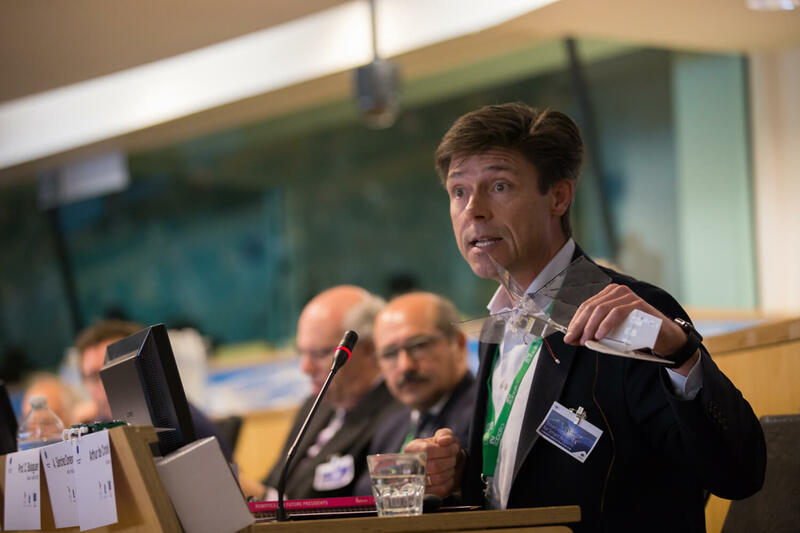 Presentations from other regions – Odense, Tuscany, Bristol, Île-de-France, Madrid and Andalusia and our own – indicated that we are doing similar work, but at the same time it is different. “Each region has a very interesting, different story, but they are all based around a triple helix”, summarised Richard Tuffs of ERRIN at the end of the day. The challenges are: how to build critical mass, how to get new skills for these areas? The answer is improved collaboration. This allows regions to learn from each other, in order to exploit all benefits robotics can offer. “What we want to develop is links between innovation hubs”, says Huet. The European Committee has funding available in order for various robotics hubs to develop further and to create collaborations.